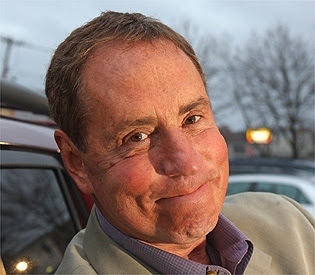 Suite Sports: Bob Lobel: Brady Taking a Page Out of Trump's Book? Bob Lobel: Brady Taking a Page Out of Trump's Book? This doesn’t feel right, not at all! I'm not talking about the White House fiasco, although there seems to be a connecting thread that can be traced to the dark side of the force. There has to be some explanation or some information that hasn’t been included that would explain it all. My first thought is that maybe something damaging to the image of our greatest quarterback ever came directly from Roger Goodell's office. No proof yet of anything, except what is being promoted by TRISTAR productions on their website. Check it out for yourself and let me know your opinion. Is there a sense of outrage and disbelief that you get when you see the absurd prices that come with this private signing experience by Tom Brady? Is there any mention of a charity that would benefit from this ridiculous event that can only be described as a “money grab” under the name of our local hero of heroes? How did this happen? How did Tom Brady and his “people” let this happen? I first blame the NFL commissioner's office, because only it would benefit from the brutal negative publicity that will come with this announcement. Roger Clemens was crucified for charging for autographs back in the day, but this takes it to a whole new level. Check out what it will cost and what you get for your buck. Not the greatest comeback ever, but maybe the greatest con job ever. I'm sorry to even have to put this on paper since I'm a fan, and a big one of the big guy, but please, this is not good in any way, shape or form. Who at TRISTAR thought this would be a good idea? Yeah, of course, for the people collecting and the Brady Bunch, it’s a great thing. I guess, but the negative outcry that will attach itself to this can't be worth anything close to the downside image of greed and avarice when it never seemed necessary. Especially with those prices. I guess I'm being just naive. Maybe it's me. How dare I criticize this icon of icons who seems to do everything right. Until now! Until this. Why? That is my simple question. How did this public relations disaster happen? Too much hanging around the Trump team, perhaps. I stand to apologize if it's proven be misunderstood or just a bad prank. Yet, it seems real, all too real. Maybe they just should have stopped with the Shields MRI commercial after the game, which was nothing short of brilliant, by the way. This is nothing short of ill conceived, at best. Tom, please prove me wrong. Look at any professional athlete that has anywhere near the caliber of celebrity that Tom Brady has and see how much their "autograph sessions" are going for. The "New England Picture" company runs autograph sessions all the time and their prices are ridiculous. 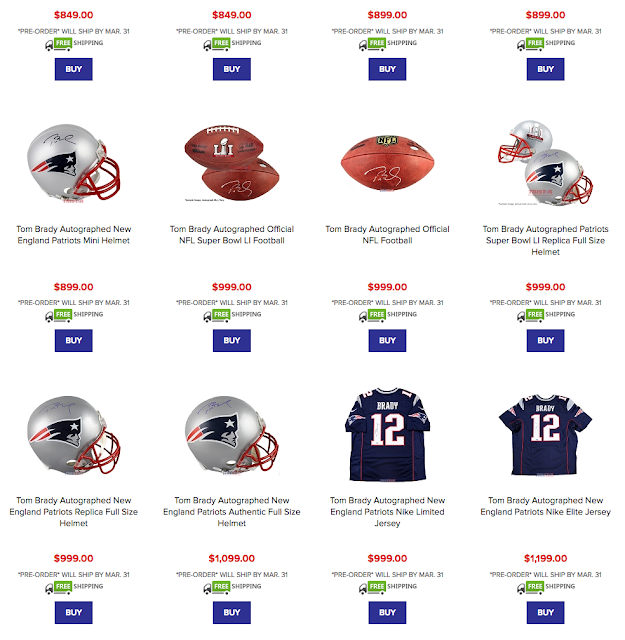 So this is no surprise, and the prices are most likely not set by Tom Brady himself but rather set by the promotion company running it.